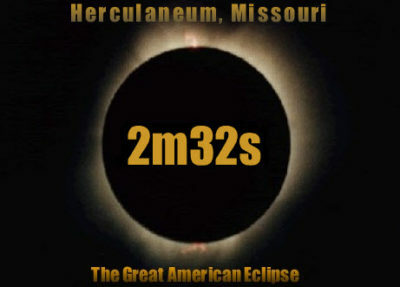 As we inch toward the August 21st eclipse, the magnitude of the event is starting to become apparent. 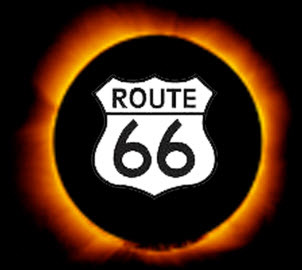 Tens of millions of folks, if not close to a couple hundred million, from around the country and around the globe will be descending on the path of totality as it moves across the USA. To handle the influx, tens of thousands, if not close to a couple hundred thousand, individuals are preparing their schools, cities, towns and venues for the Big Day. Let’s take a moment to thank those that are workin’ for the eclipse. 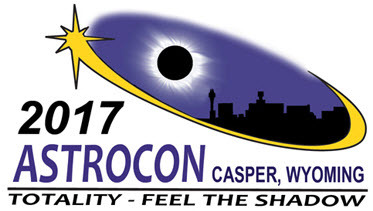 I have had conversations at the Scopedawg booth with city planners and administrators, emergency management personnel, the media, school teachers and principals, business owners and many more who have been busy planning eclipse events for their attendees and customers. 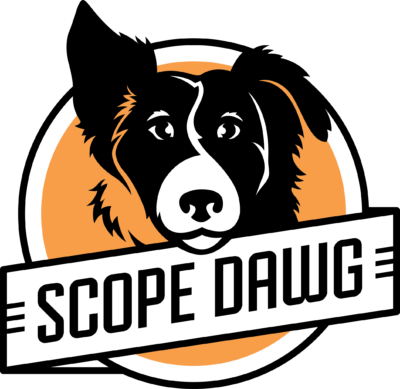 Many are just now realizing how big the Big Enchilada will be, and are looking for resources to help them. As with any successful event, planning and coordination are necessary steps in carrying out their best laid plans. Towns like Casper, St. Joseph, Carbondale and Hopkinsville (and many others) are staging festivals with music, food and drink, and a good time had by all. Schools and school districts are planning to take the kids out, get them glasses, and teach them about sun, moon and earth dancing in tune. Lodges, wineries, microbreweries and other establishments are planning to give their attendees eclipse “all-in-one” packages for the Big Day and the weekend before. The list is big and growing daily. Let’s not forget the homesteaders from our previous post Got Plans? that are planning their own wing-dings. Take a moment to consider and thank all these fine folks that will make our eclipse the most watched in all of human history. 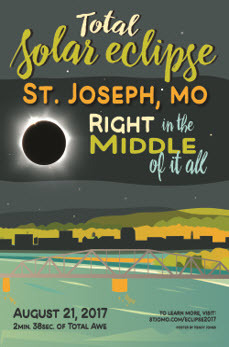 There is no better example of a group of diverse individuals organized toward the goal of preparing their region for the eclipse than the St. Louis Eclipse Task Force. 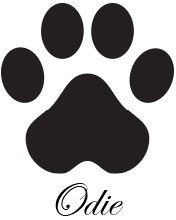 The group is supported by more than 40 organizations, many of whom have representatives at the monthly meetings, and include astronomy clubs, businesses, K-12 and university educators and administrators, city, local and state government, tourism, libraries and media. The Task Force has been meeting since 2014 working to fulfill their mission – inspire, educate, connect – and no better representation of their success is the program to connect sponsors with underserved school districts in the St. Louis Area to make sure they have free eclipse glasses. 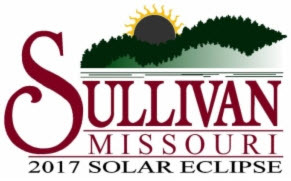 The Task Force is putting on the St. Louis Solar Eclipse Expo on Saturday, June 17th at Queeny Park in nearby Ballwin, MO. Already the group has organized 80+ exhibits, national and local speakers, educational activities, solar viewing and much more. 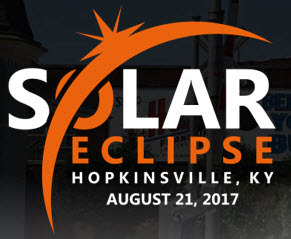 Attendance is free – more than 3,000 have registered to date – as are the eclipse glasses, while they last. Local towns, libraries, businesses and schools will be exhibiting and discussing their eclipse plans with the public. The volunteers on the St. Louis Eclipse Task Force, devoting their time and expertise, are what made all of this happen. 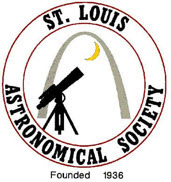 I would be remiss in not mentioning the leadership and vision of Don Ficken, chair of the Membership Committee of the very active St. Louis Astronomical Society, keeping the group organized and steady on toward their goal – inspiring, educating and connecting the people of the St. Louis area to the first total solar eclipse in their town since 50 years before Columbus first stepped in the New World. 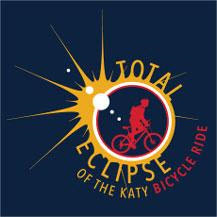 Here are links to the Task Force, Expo and a few of the local towns celebrating the August 21st Total Solar Eclipse. In a gondola on the lagoon.